If We Don’t Have It, We Can Get It! Structure My Deal tools are complete — you're ready to visit Hiley Hyundai of Fort Worth! 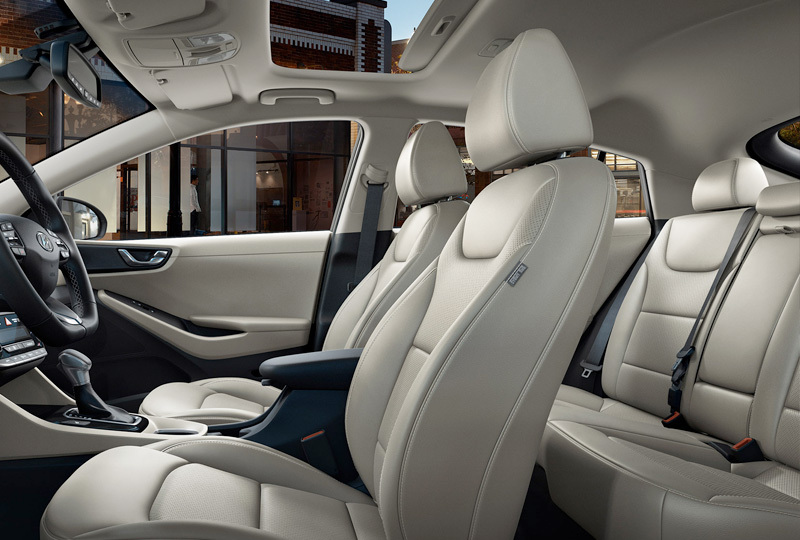 Make the cabin feel at home with dual-zone automatic climate control and premium cloth upholstery. Find room for every last belonging with the standard 60/40 split-folding rear seats and the roomy cargo hold. Don't waste any time fumbling with the keys, thanks to your standard proximity key with push-button start. Connect your smartphone to the Bluetooth system for access to audio and hands-free calling. Use your 7-inch touchscreen display to find entertainment for your journey, and make sure to view the rear camera display before backing into a parking spot. You won't find a better Hyundai inventory available anywhere else. 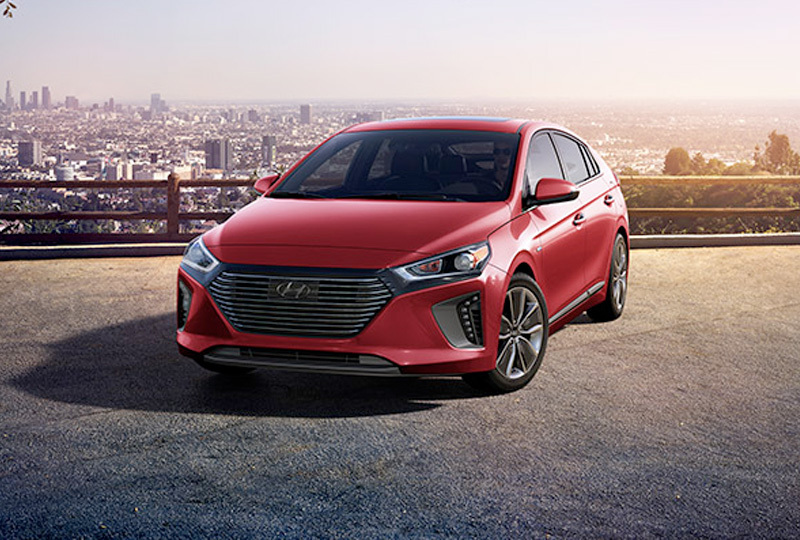 We can't wait to put you behind the wheel of a new 2018 Hyundai Ioniq Hybrid, so come see us today at Hiley Hyundai. We're conveniently located at 9000 West Fwy, Fort Worth, TX. 1 Estimate combined mileage. Actual results may vary based on driving conditions. Designed to get more miles out of every gallon. An aerodynamic design with a 0.24 Cd gives it an EPA-estimated 58 Combined MPG. Both are industry-leading-numbers. Dual automatic temperature control is a better way to keep everybody comfortable whatever the weather. Charge your phone without the cord. When it comes to technology and convenience, Ioniq offers the ease of wireless charging for your Qi standard compatible smart phone. 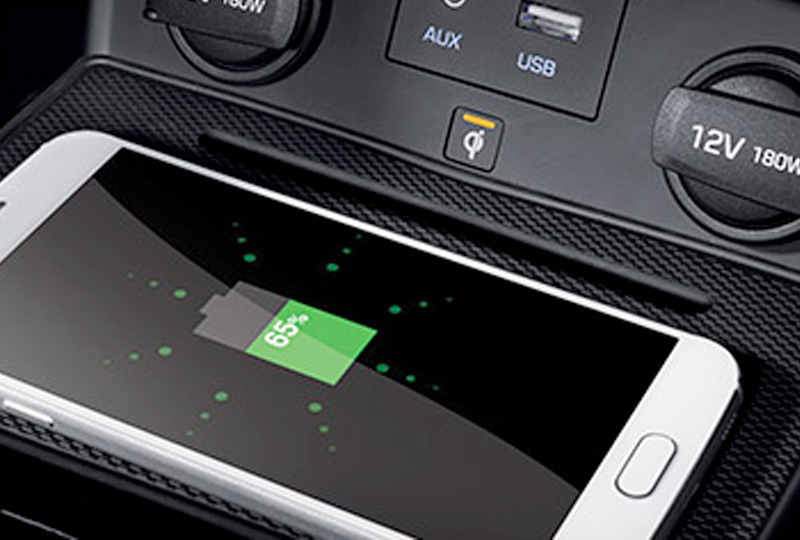 There's no need to mess with cords or plugs, just set your device on the charging pad in the center console to charge. There's even a handy holder for your tablet between the front seats. Weight-saving aluminum - Advanced high-strength steel - Aircraft-grade adhesives. 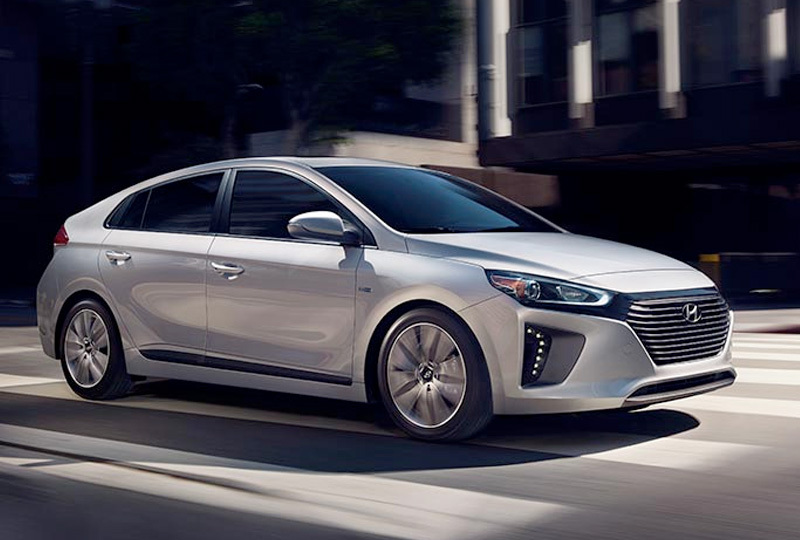 The intelligent use of aluminum and advanced high-strength steel gives every Ioniq model an extremely light and rigid body structure. This blend of strong weight-saving materials means more efficient driving with longer range and quicker acceleration. MSRP excludes freight charges, tax, title, and license fees. Freight charges and actual dealer prices may vary. Vehicles displayed may contain optional equipment at additional cost. *Qi wireless charging function is based on smartphone compatibility and or/specific accessory cases.